Asheville NC has some great luxury home builders of post and beam homes. 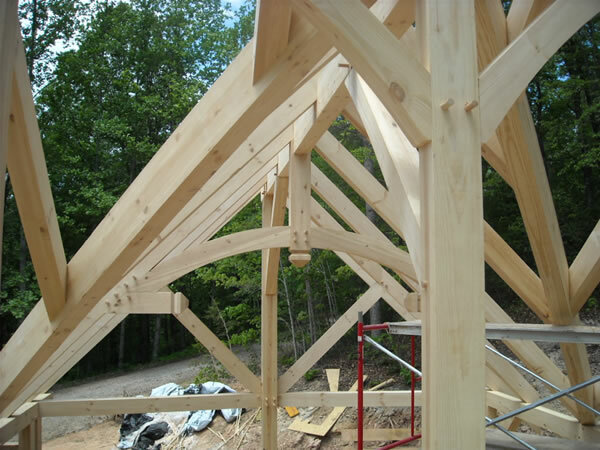 Post and beam homes or timber frame homes as they are called are readily available for purchase here in the Asheville NC area. Call Green Mountain Realty at 828.215.9064 for post and beam homes, land or real estate here in Asheville. HAVE IT ALL! Extraordinary Limestone & Brick luxury home with phenomenal views includes a 39 ac. horse farm w/ fenced pastures, 4-6 stall Morton barn & on site riding trails. 1 exit away from Tryon Intl. Eq. Ctr. Gorgeous tiered gardens, immaculate, elegant interiors w/vaulted ceilings, reclaimed beams, stone fireplace, granite countertops, marble floors, chef's kitchen w/superior finishes and appliances. Truly an exceptional equestrian property for the discerning Buyer. Close to town & I-74. I have a question about the property at 500 JJ Guffey Road Rutherfordton NC 28139 (#3493094). I would like to schedule a visit for the property at 500 JJ Guffey Road Rutherfordton NC 28139 (#3493094). I have a question about the property at 531 Hagen Drive Hendersonville NC 28739 (#3495444). I would like to schedule a visit for the property at 531 Hagen Drive Hendersonville NC 28739 (#3495444). I have a question about the property at 1220 Bee Tree Road Swannanoa NC 28778 (#3412934). I would like to schedule a visit for the property at 1220 Bee Tree Road Swannanoa NC 28778 (#3412934). I have a question about the property at 146 Oleta Falls Path Hendersonville NC 28792 (#3484748). I would like to schedule a visit for the property at 146 Oleta Falls Path Hendersonville NC 28792 (#3484748).